For a long time, people used to live in the nature however nowadays they seem to live outside of the nature. 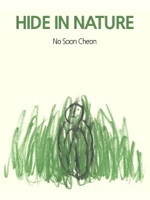 This is a story about a man who adapts the change in nature to live with it and trying to find comfort and peace in the nature. This book contains visual images only. No written words are included.